Well Im a Child of the 80/90's and I loved Lego..
Just over a year ago i got all my stuff that i had left at my moms house, and my Lego was there. So the next thing you know im sorting and building. and now in my spare time im on a huge Lego Collecting/sorting/Build Kick, its been over a year now. but things are going well. My Goal is to get all the lego that i wanted as a kid and completing all the sets that i owned as a child. http://www.bricklink.com/ This site is for buying individual parts from other people. All Lego parts have a Model/Serial Number on them. So once you make a List of the parts you missing you can search for them on Brick Link, and order. http://www.peeron.com/ This site i use to see what parts are in a set, so i know exactly what im missing, then i get the part number and search for it on Brick Link, this site also has links to all the digital Copy's of the instruction Manuals. Very useful site. http://www.brickset.com/ This site i use to just see all the sets that go under a certain series, so i can figure out what sets i might be missing from what series. It also links to Peeron for the parts, and has other useful things on it. I dont have any pics at the moment, but i will post some soon. For the past year i (With the help of my wonderful Wife) have been sorting and Cataloguing all the sets that i own/want to own. TO Date we have done 143 different lego sets, all from the 90's. My favourite Lego Theme is Pirate. I'll have to remember to get some pics next time I'm at their house. Nice. glad another lego lover is here..
Im going to dig up some photos of me, with my Custom starwars lego i built before Lego had actual starwars lego..
My love for Starwars and Lego forced to me create my own sets.. and the were pretty good. I had to explain to my wife never to question me purchasing lego! It's the only toy that truly lasts generations. My lego had old bits from my uncles. I added a mindstorms set a while back and now my daughter is into it and we've expanded it into quite a collection. 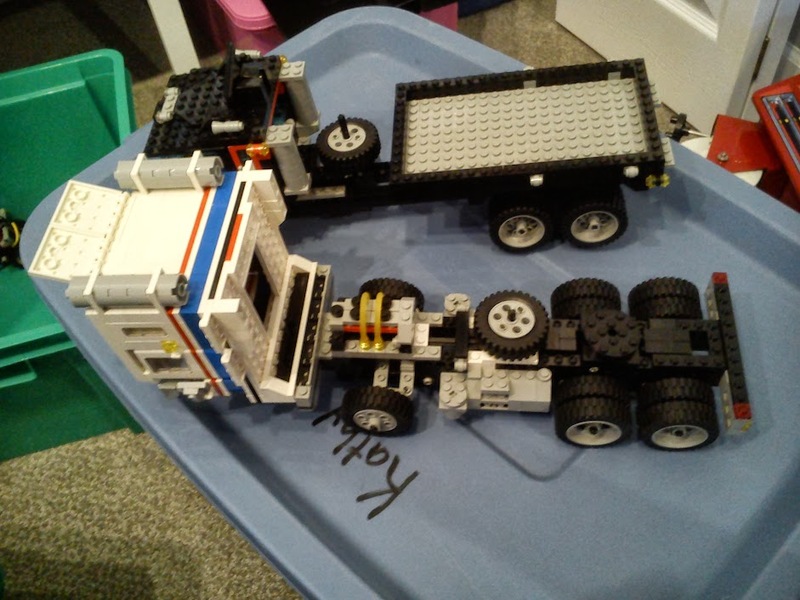 The mindstorms demands a lot of time to really make something good of your own programing. 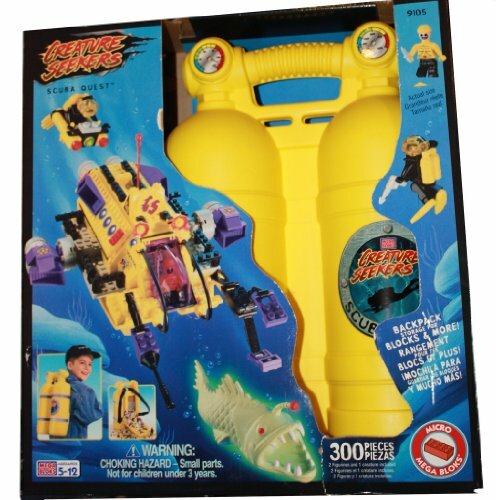 I never had Mind storms.. we could never afford that when i was a kid. Yeah it was the second gen set I bought later when I could afford. Haven't used it in 10yrs probably. You really need a plan if you're trying to make something custom because you have to go back and forth programming as well. Gah, I love Lego. I need to pull mine out again, only issue there is keeping away from the puppy. I have 3 of the big ice cream pails (not the 4L) full. dont want that puppy to eat/shoke on small parts. 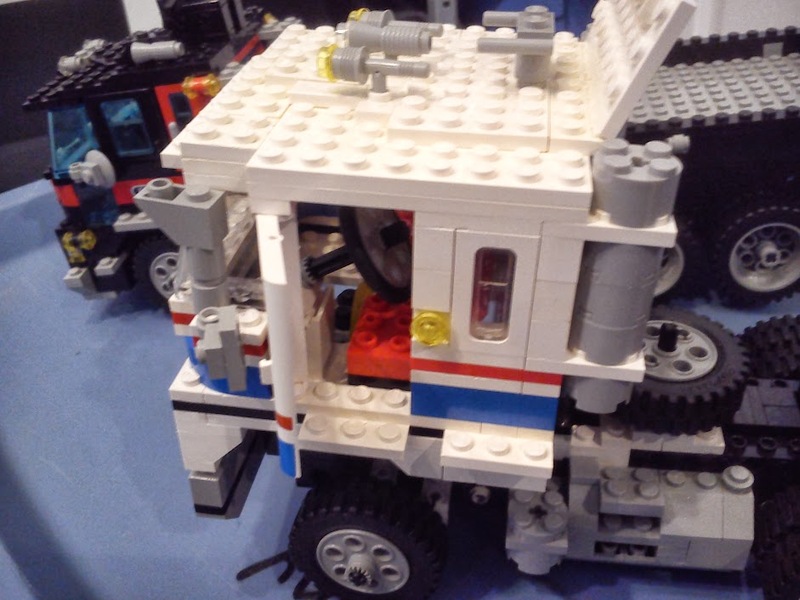 I remember WAY back when I was in high school, a fellow nerdish friend of mine and I replicated the 4-wheel-steering from the Honda Prelude in LEGO. It was one of the crowning achievements of my scholastic career up to that point. Well I couldn't find all of the Lego at my parents' house when I was there, but here some stuff that was easy to find. I know there is a huge rubbermaid bin with loose bits of Lego somewhere as well. 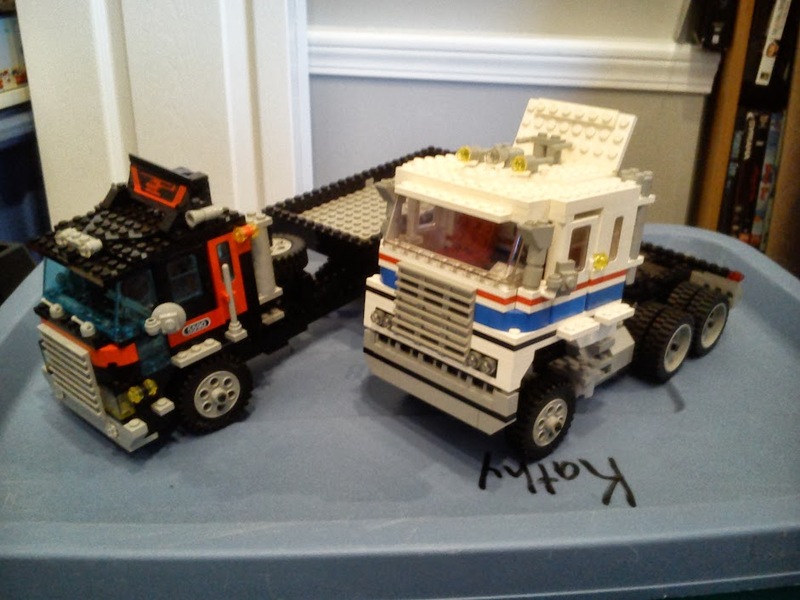 Two trucks that I made myself. I forgot I had made the black one as well as the white one! Snap.. thats awesome.. Im jealous.. there are some stuff that i want for my collection.. If you ever want to get rid of some, let me know..
Ryan. those are cool, but I bet Kathy helped you.. no? Awesome job! I was 100% Lego when I was a kid, and expected to love it forever (And always play it) but after I hit 20, I wasn't so interested. My daughter is getting into it now though, and has all this cool Freinds series. I can't help myself picking up little things here and there for her. When she gets into it more, she can have my collection. Lots of space stuff, and some town, and the basic blocks. Mostly buckets filled with memories. I once made a 247 ship armada, and used up most of my pieces. Have you guys been to the lego store? In Edmonton, we have one at southgate mall. Amazing sets these days. In the store, you can take any lego box, and show it to a camera/tv setup, and a 3d animation plays out on top of the box (on screen) - the animation is anchored to the box, so as you twist it, it will change the view of the animation. Some are played out as a complete build of the model from bottom to top, and some are action - the back to the future one has the DeLorean driving in, Doc getting out, and marty hoverboarding in. ya the legos stores are pretty cool, there is 2 near me now.. i have chcked them both out.. 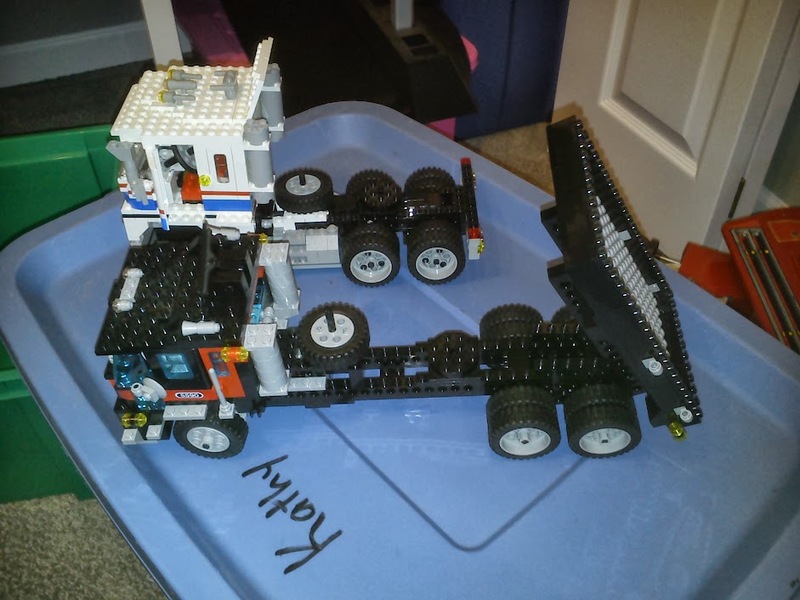 I have to post some pics of the cataloguing that me and my wife are doing with my lego.. its kinda crazy..
Ryan i want those sets you ahve in box's in the closet.. let me know when you want to sell them to me..
My parents didn't love me. They bought me mega blocks Christmas '98 if I recall. They bought me mega blocks one christmas when I was ~5. 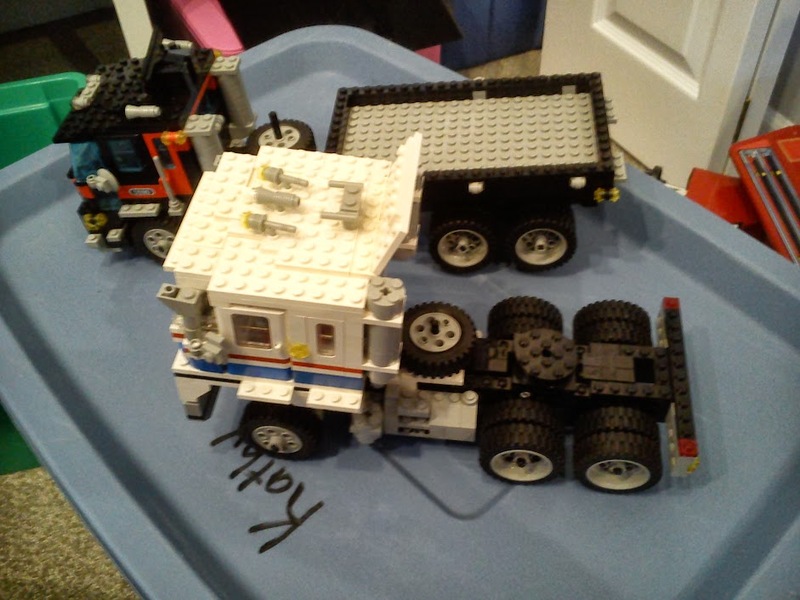 as a 5 year old im sure that rocked your world..
Definitely a huge lego fan when I was a kid. I don't pay a ton of attention to it anymore, but I can see that changing when I have kids. 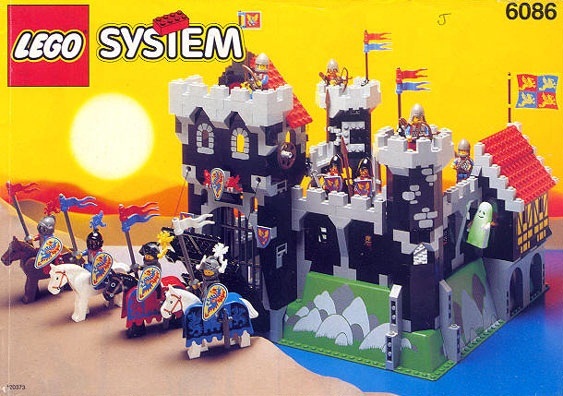 Yes this is what im talking about..
That Castle is awesome.. also its one of the few lego sets that has increased in value. What i wouldn't give to get that set now. I love Pirate lego.. however i never got any large sets. But now that im an adults i can hunt down all the sets that i wanted at a child.. and its going great.. I will put some pics up soon.